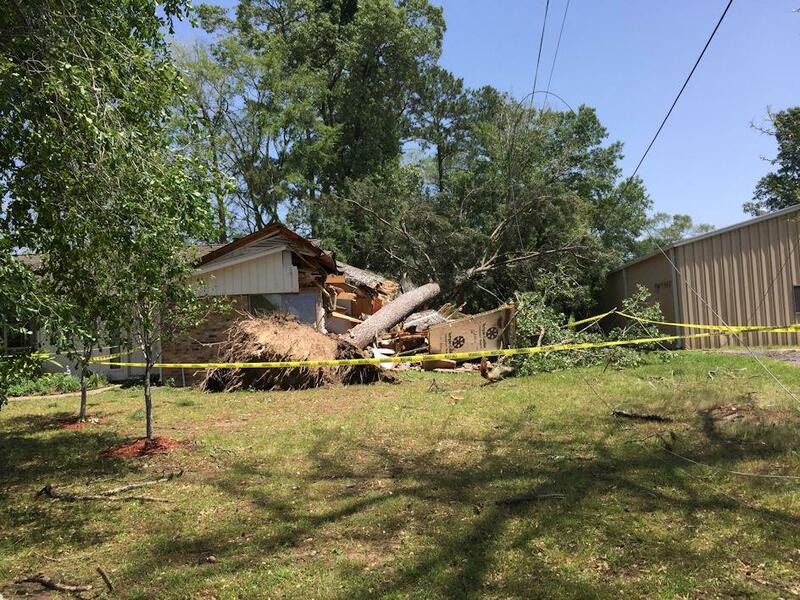 The rectory at St. Joseph Catholic Church located of US-190 West was partially demolished by a large pine tree during an early morning storm. The Sum of all Fears in a Texas Storm, LIVINGSTON, April 27, 2016 - During early morning hours on March 27, 2016, (before daylight) a storm blew through Polk County. A tornado watch was underway as strong winds and almost constant lightning and heavy rains pounded Livingston. 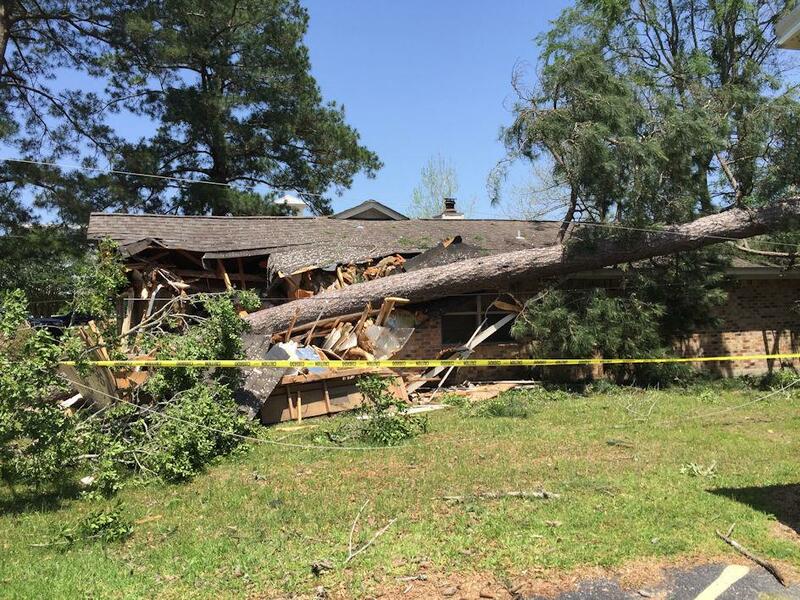 One of the biggest fears during these terrible storms is the thought of a huge pine or oak tree near your home crashing through your house. That biggest fear became a reality this morning as the rectory at St. Joseph Catholic Church, located at 2590 US-190 West in Livingston was partially demolished as a large pine tree came down and tore through the east end of the house. 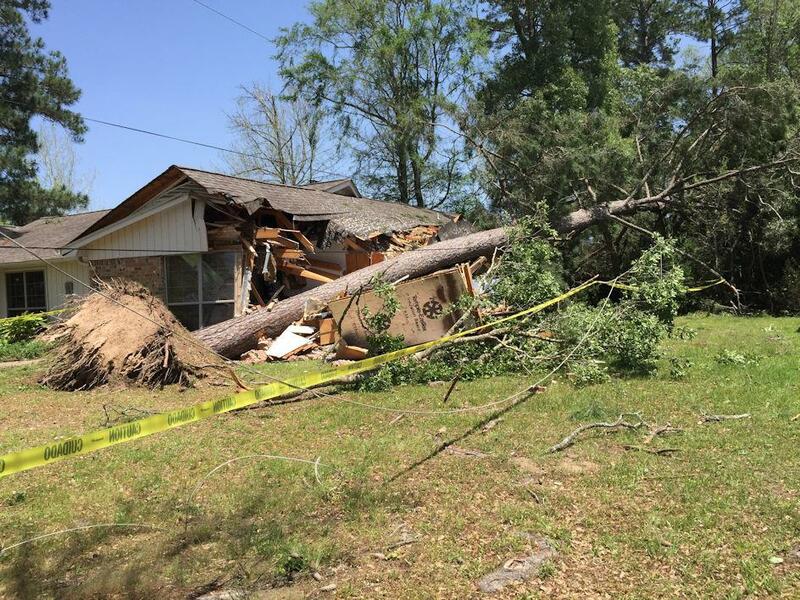 Father Father Joseph Chau Nguyen was in the home when the tree came crashing through. He did sustain injuries and was transported to CHI Livingston Memorial Hospital with non-life-threatening injuries. The mess is being cleaned up by volunteers.